It’s possible to end smoking entirely within our lifetime. British doctors voted last Tuesday to ban cigarettes for anyone born after the year 2000, which is the first step in a ground-breaking initiative to make Britain the first country that is completely free of tobacco within our lifetime. The motion passed at the British Medical Association’s annual representatives meeting,the Guardian reports, and will soon lead to the doctors’ union lobbying the government to introduce the ban on kids and teens currently 14 years or older. It will probably be effective – the BMA has been successful in enforcing bans on smoking in public as well as banning smoking in cars with kids. Smoking is not a rational, informed choice of adulthood. Eighty percent of smokers start as teenagers as a result of intense peer pressure. Smokers who start smoking at age 15 are three times as likely to die of smoking-related cancer as someone who starts in their mid-20s. He also added that smokers who began at the age of 15 are three times as likely to die of smoking-related diseases as someone who started just five years after. It is not expected that this policy will instantly prevent all people from smoking, but [rather it will] de-normalize cigarette smoking. The level of harm caused by smoking is unconscionable. The medical professionals also highlighted that cigarette addiction is even more powerful than proven studies showing that cigarettes cause cancer. They said this is the first step of many to make Britain the first country to fully eradicate cigarettes by 2035, something that they hope will influence other countries as well. Some doctors criticized the ban, however, noting it might result in a dangerous black market involving cigarettes – which could be much more dangerous and unhealthy than today’s government-regulated market. 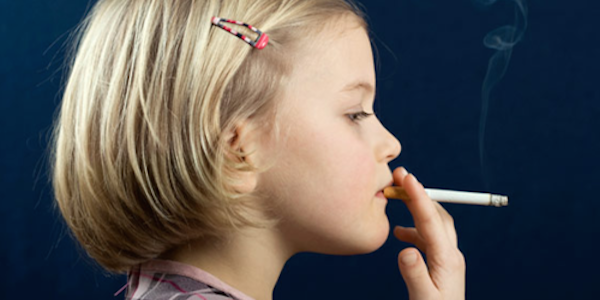 Many doctors fear that this ban might activated the “forbidden fruit” syndrome, which would make smoking even more attractive to kids simply because it would be banned. The BMA believes the opposite, that smoking should never have been viewed as “normal” and that even the smartest teens aren’t educated enough to use tobacco safely and in moderation at such young ages. It is time to play the tobacco end game. One billion people are predicted to die from smoking-induced diseases in the 21st century. Do you agree on this ban?